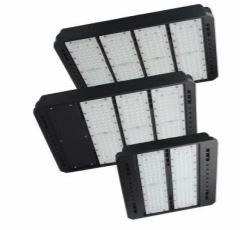 PacLights' Area Light is a high performance LED fixture with 12363 lumen output from a 100W fixture. Its compact design allows this light to be installed in a great variety of applications. This light is also great of energy saving applications with high efficacy up to 136 LPW (lumens per watt) giving customers a faster ROI (return on investment). This light can be used for outdoor applications; as a pole mounted area light with various types of distribution including Type II, Type III, or Type V. This light can also be used as a flood light.